What happens when the queen of comedy decides to settle down and get married? The party is definitely a blast! The marriage of Bharti Singh has been a much talked about affair in the industry. The couple is so in love that we cannot stop ourselves from going “Aww” all over their companionship. 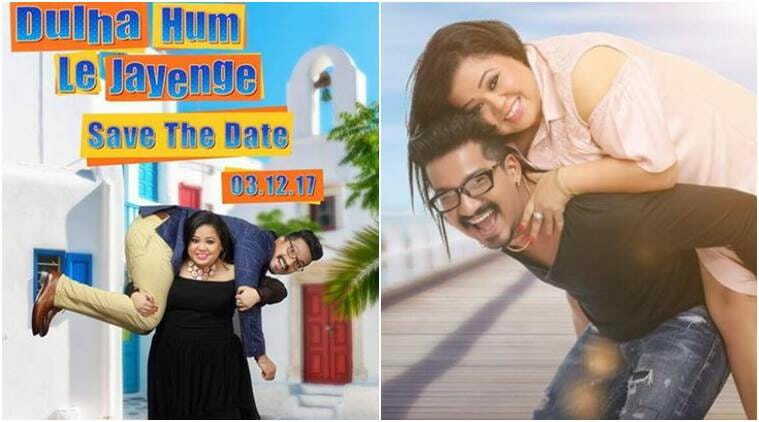 So if you are looking for the inside scoop on the marriage of Bharti Singh, then you have come to the right place! The wedding date coincides with the wedding of Aashka Goradia, the television actress of Naagin fame, with Brent Goble. Whew! That’s going to be a tough choice to make for those who are invited to both weddings. The preparations for the marriage of Bharti Singh started a long time back and the glamour world is abuzz with all the news and details. The guest list contains A-listers of Bollywood like Shah Rukh Khan, Madhuri Dixit, Malaika Arora, Karan Johar, and Salman Khan. Apart from just them, big names of comedy like Kapil Sharma, Krushna Abhishek and Sudesh Lehri are also expected to make an appearance at the wedding. After all, they have had the joy of working together. The venue that has been decided for the marriage of Bharti Singh is the calm beaches of Goa. Furthermore, all the guests will be provided for by the couple themselves. We are sure that the beaches will make an amazing backdrop for a fairytale wedding! Apart from the main functions that will take place in Goa, other events will be hosted in Mumbai. The Wedding Invitations have been recently revealed and they are eye-popping. 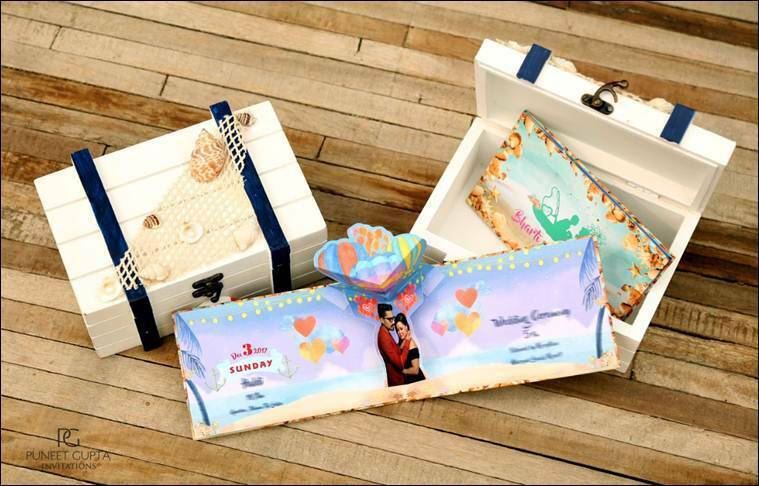 Puneet Gupta Invitations have designed the wedding card and they are being shipped exclusively from Delhi. Given that the venue is Goa, the card is designed to give the perfect feel of arriving at the beach. The front of the wedding invitation displays Harsh and Bharti’s names inside a cute frame. It is dotted with seashells and has the blue color representing the beach. 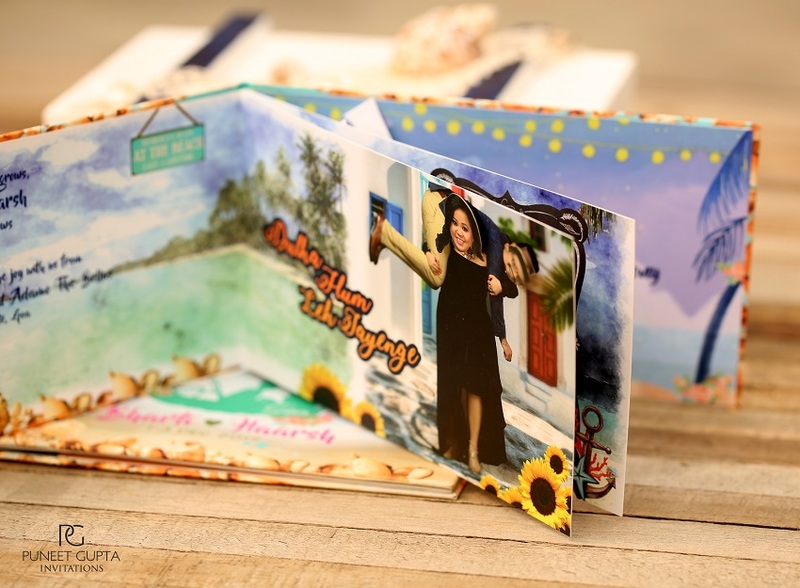 When we said it is eye-popping, we literally meant it, because when you open the card, the photo of the couple pops out! Funnily, Bharti is never to be the one to miss out on a good opportunity for great humor. 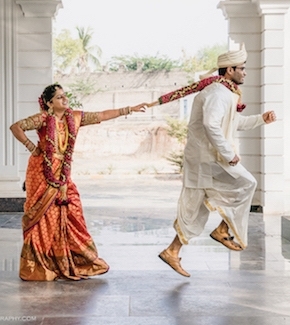 Along with the card, which carries all the wedding details, is also a photograph of Bharti carrying Harsh on her shoulders. All of the contents come in a neat packaging of a wooden box decked up with blue laces and real seashells. Talk about a grand invitation! Harsh and Bharti plan on having a typical Punjabi wedding. Before heading off for Goa, a few functions will be conducted in Mumbai. These include the Mata ki Chowki, which will be at Harsh’s residence on 21st November. Another religious ceremony will be hosted at Bharti’s residence on November 29. While the bride-to-be will deck up in bangles on the 27th of November. 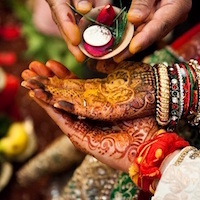 The wedding rituals will span over 3 days in Goa. 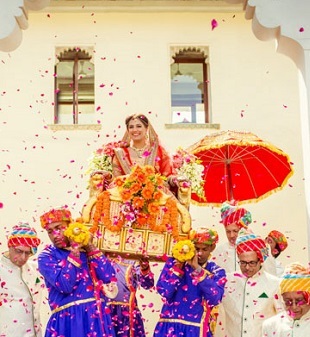 Bharti will be seen wearing a Fuchsia Pink Lehenga Choli with intricate detail at her wedding. 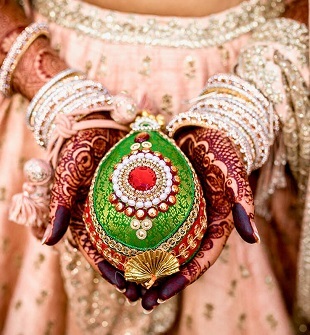 The lehenga will carry the engravings of their love story. On the other hand, Harsh will don a Royal Blue Sherwani. At the cocktail, Bharti will wear a deep red gown, while Harsh will settle for a Bottle Green suit. The reception will see Bharti dressed in a Neeta Lulla gown and Harsh will look prim and proper in a black tuxedo. The wedding jewellery for the marriage of Bharti Singh is yet to be decided. Bharti intends to take a small break after the wedding and the newlyweds will then head off to Europe. They plan to travel exotic locations like Roma, France, and Spain.